Angus Noble is known for his innovative product design approach. 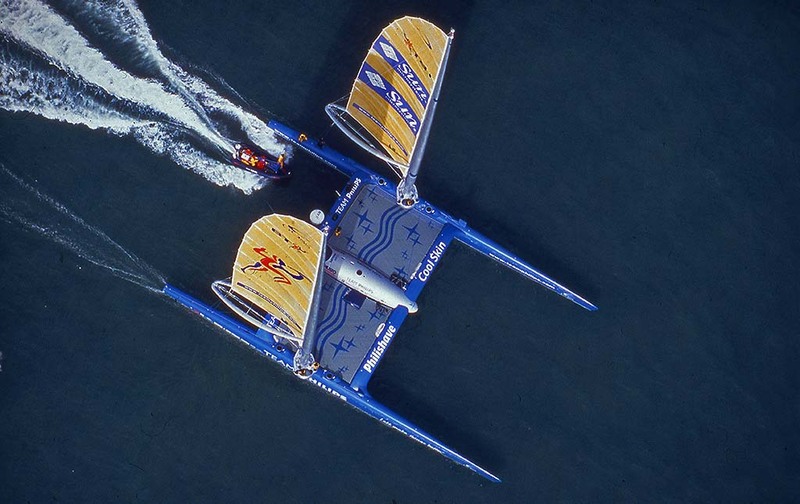 He has designed everything from racing yachts and multihulls to cameras and bicycles using high tech materials. ‘I have designed products for over 20 years and I am very passionate about good design. Unlike most designers, I have always been responsible for manufacturing everything I design myself. From yachts to bicycles, I have had to turn the ideas I have into real products on the shop floor. This practical constraint feeds back into the design process continually. Aesthetic and manufacturing considerations are all dealt with simultaneously, so the design evolves naturally to its conclusion. Thus ‘form, function and production’ all come together in a holistic way that I like to call ‘Art in Engineering’. The result of this approach are products that I feel have a inherent natural simplicity and elegance that has nothing to do with ‘styling’ but are all to do with ‘quality’. Please contact me if you think I could help you with your project.